The effect of Osun Youth Empowerment Scheme (OYES) policy have been described to have gratifying micro economic effect on Osun and on Nigeria as a whole, with its unprecedented record of large scale of engagement of youths, unequalled anywhere outside the communist county. The Governor State of Osun, Ogbeni Rauf Aregbesola made this known at the graduation and fashion runway program of Ijinle project held at Lagos, created to empower youths, create jobs and provide a platform for the younger generation to delve into entrepreneurship while appreciating the beauty in the eroding Yoruba culture in fashion. Governor Aregbesola who stated that the sun is setting down for his administration, narrated that the genesis of Ijinle project was born out of passion for sustainability and preservation of heritage traditional clothing sewn in modern styles and he stated that fifteen youths were selected from Osun Youth Empowerment Scheme OYES to get intensive training from legendary Kabiru Durojaye, a 56 year-old veteran tailor and custodian of authentic Yoruba wears craftsmanship for over 30 years, supported by Ms. Muinat Atunnise of Atunnise Clothiers as project manager at the 5 months training. 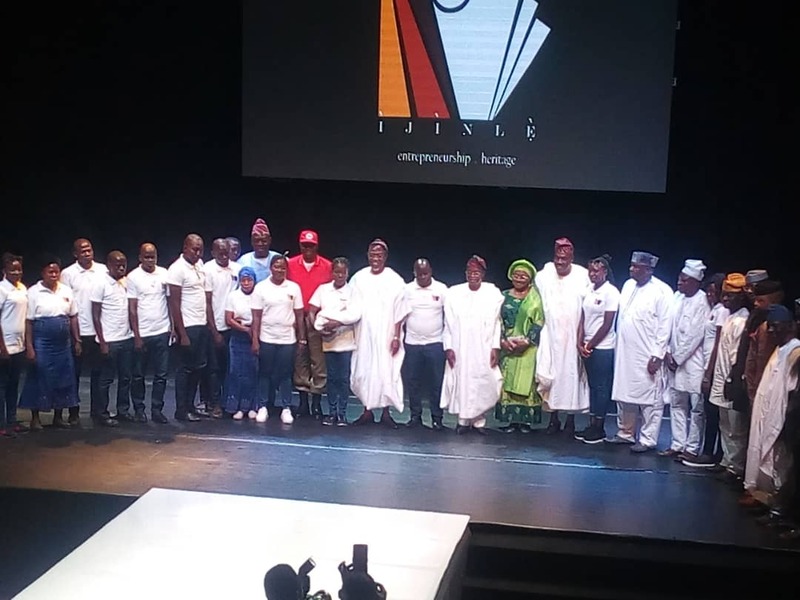 At the launch and fashion runway show which held at Terra Culture in Victoria Island part of Lagos, Ogbeni Aregbesola emphasized that the Ijinle project is another legacy by his administration ably supported by the governor's elect Alhaji Gboyega Oyetola, in his office as the former Chief of Staff, in a long shade of skill acquisition, entrepreneurship and youth development, which spanned from the flagship OYES program. 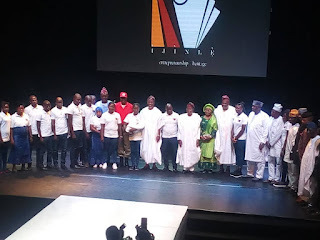 The Governor added that the trainees through the internship fused both old and new contemporary attires for older and younger generation, to serve bigger market in fashion, while the government will facilitate business development services of the trainees to viable production cluster, and that relevant agencies with the help of the facilitators will use manpower and enterprise to generate income for the state. Governor Aregbesola stated that with the OYES program, about 60,000 lives of youths have been positively impacted through the 64 exit program attached, while adding that OYES made Osun to record the lowest employment figure in Nigeria, reduced crime rate in the state to fall to national lowest crime rate in Nigeria and it also made Osun Gross Domestic Product (GDP) to rise to number seven nationally. He congratulated the trainees and added the governments plan of establishing the successful selected trainees to various local government areas of the state, in different locations across the state of Osun, in a bid to continue to create beautiful works locally, nationally and internationally, while also generating income for the state and themselves. "We have provided empowerment for thousands of youths in skill acquisition and business settlement in entrepreneurship, agriculture, commerce, education, mechatronics, information technology and arts", Governor Aregbesola stated. In his goodwill message, the Osun Youth Empowerment Scheme OYES Commandanté, Col. EniIbukun Oyewole rtd, while congratulating the trainees on the success of skills acquired reiterated that there is power in skills and that their experience as an OYES cadet is a plus in life based on the unquantified experience. Oyewole stated that the talent giving to them by Ijinle project should be built on by passing down the knowledge, have good entrepreneurial skill, keep to time of delivery to customers and above all, not to disappoint the Government of the State of Osun for investing in them, and he prayed for them and presented the Ijinle Certificate of Participation to each of the trainees.